Very Good. 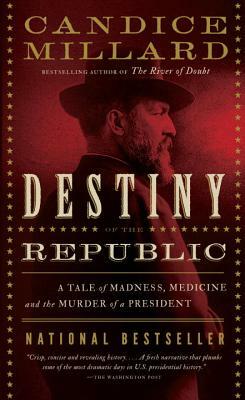 Destiny of the Republic: A Tale of Madness, Medicine, and the Murder of a President by Millard, Candice, 2012-10-02. Trade paperback (US). Glued binding. Fair. The cover of this paperback book has curled corners. This paperback book shows signs of heavy use, including small tears. Shipped to you from Goodwill of the Valleys, Roanoke VA. Thank you for your support!